I decided on a Monday that on that Friday I was going to jump on a plane and fly to London, England for a three week adventure before I settled into my first post-university full-time 9-to-5er. Usually, trip planning is my second favourite part of the travelling (photographing being number one), but for this trip, I just didn’t have enough time to research, read blogs, compare prices and pick my hostels, hotels, trains and flights. So I decided to jump on an organized camping tour with Contiki. Now… let me just get this out of the way: Everyone should do a Contiki! If you haven’t done one already, you should. If you have done one already, you should do another one. If you never planned on doing one but you are in the 18-35 age range, DO IT, because Contiki is awesome. Moving forth… this was my second Contiki. My first one was sailing in a luxury cruise across Greece and Turkey, so camping was very different from that experience. I like to travel simple and feel close to nature. Beautiful architecture and exciting urban planning replaces natural scenery in many parts of Europe so sleeping on the Earth is not a bad way to feel close to mother nature. Not to mention, pitching a tent (or getting the Aussie boys to do it for you), helping out with chores, looking for the one lonely hammer and sharing it between 14 tents builds a sense of community between a group of strangers that you just met. In fact, in 11 short days, this group became my family and it was hard to say good-bye. I edited together a video memoir from the trip highlights. Take a look! Enough about how amazing contiki was and now onto camping in Europe. In North America we might think that our geographical terrain serves as the ideal backdrop for a campsite, but Europe will surprise you. Yes, they don’t go canoe camping because they can’t. Yes, they don’t let you set up a campfire and make smores. Camping in Europe is viewed as a cheap accomodation alternate, not necessarily as a lifestyle getaway. 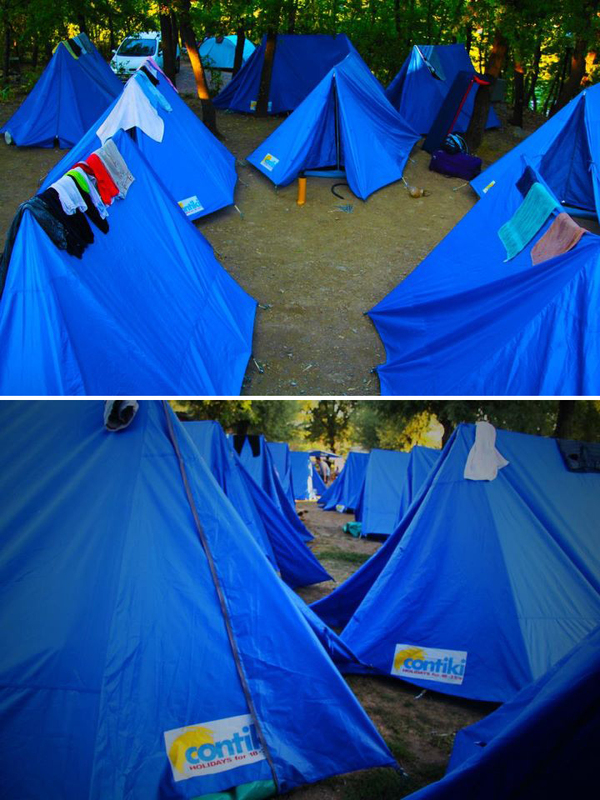 There are so many campsites close to city hubs all over Europe. The campsite where we stayed in Paris was only a 30-minute public transit ride a.k.a. a £20 cab ride away from the Eiffel tower. 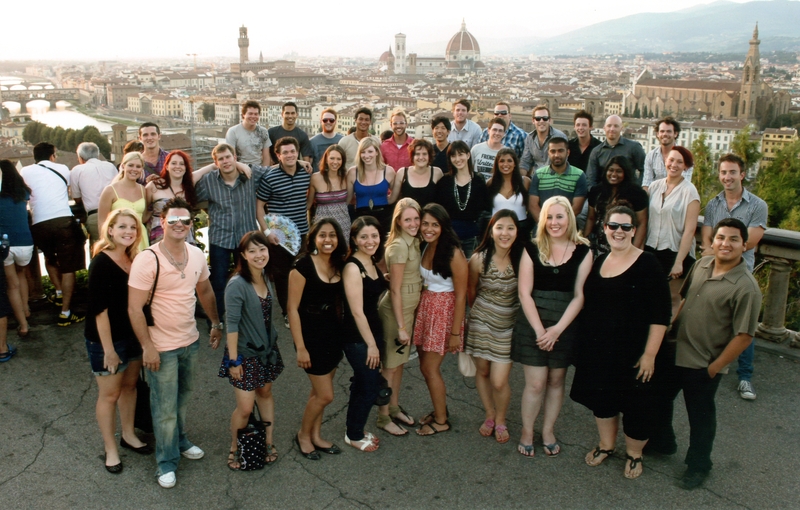 So while you are deciding whether to Contiki in Europe or camp through it (or both), I’ll leave you with the group photo of my Contiki-family. Hi, I am unable to find the articles you have written & linked. Can you give the direct url to the articles? Thanks! Thanks for your message Amy! The Sympatico website has seen been rebranded as TheLoop.ca and a lot of the older articles have been archived. That’s why the links were broken. Thanks for pointing it out – I have edited the post accordingly.